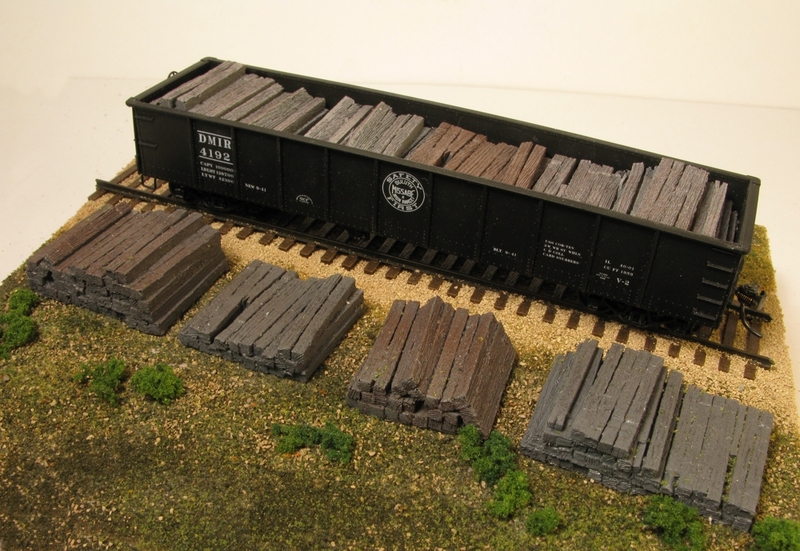 4-Pack of Painted Cast Resin Railroad Tie Stacks. These stacks can be combined to form one 40 foot gondola car load. 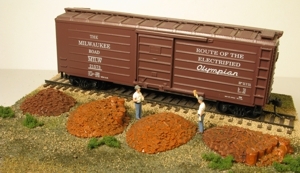 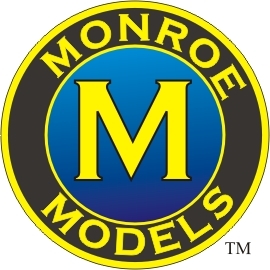 Railcars, scenery and figures are not included.